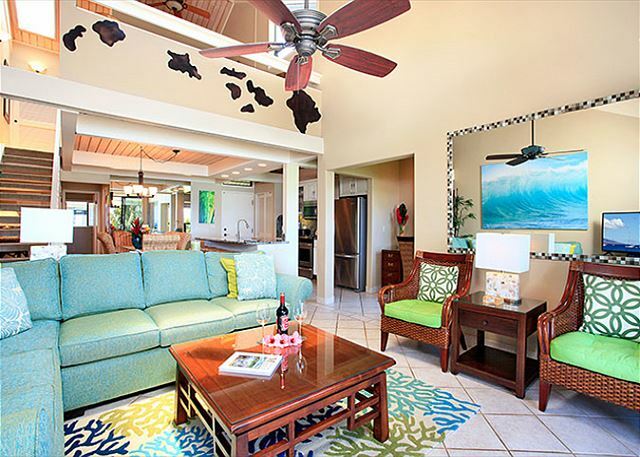 From the high end furniture and well stocked kitchen to the fantastic views across the Pailolo Channel of Lanai and Molokai from this beach front condominium, we think you will agree that you have found a little piece of tropical paradise. Our 1200 square foot unit has been freshly painted, had new kitchen appliances installed and had new furniture and beds added throughout for your comfort. 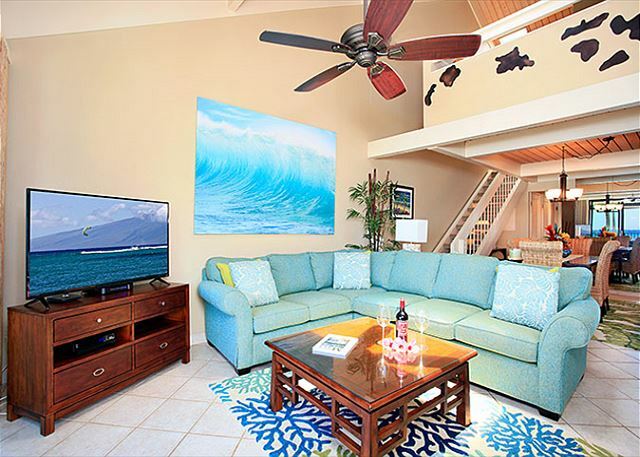 Enjoy the unobstructed beach and ocean views from the raised patio furniture as you watch the whales, turtles, sunsets and waves from your ocean side private lanai. 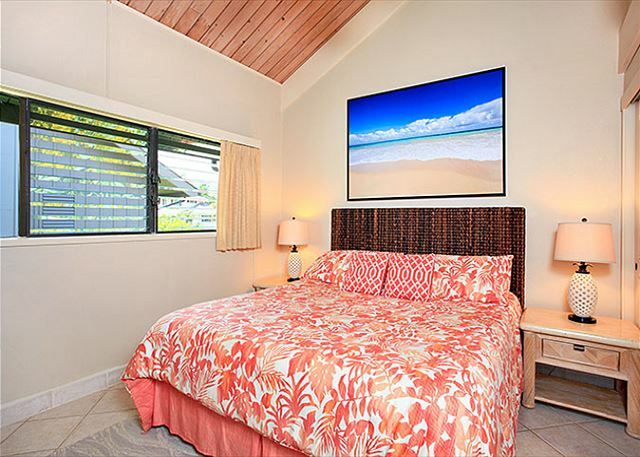 Unit 4 is perfectly located in Kahana Village, just a few steps to the pool, hot tub, gazebo, BBQs and most importantly the beach. 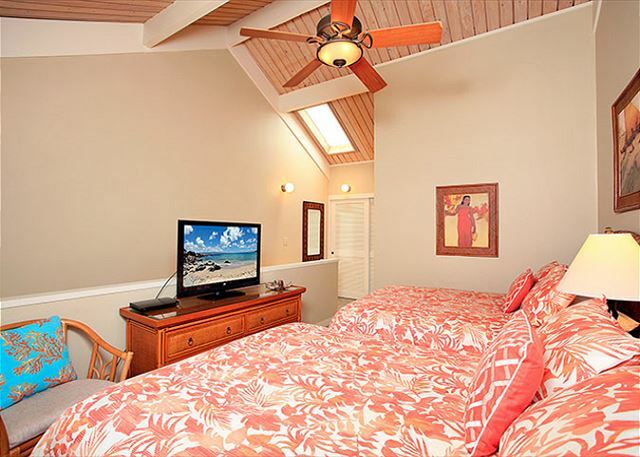 The ceiling fans and air conditioning will keep you comfortable in any season. 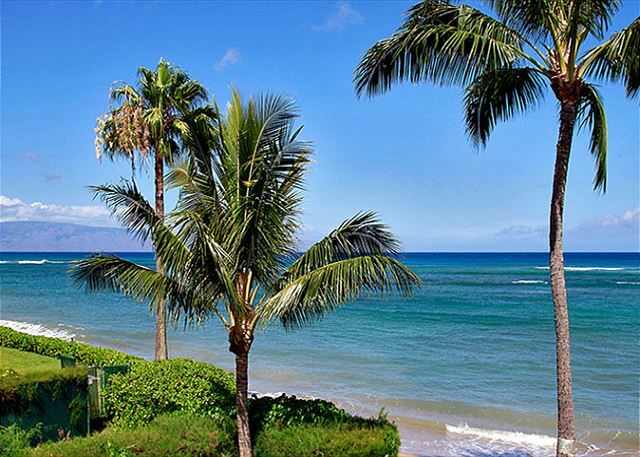 We hope that our home adds to your perfect Maui vacation. Aloha! We had the best stay in Condo Unit 4. 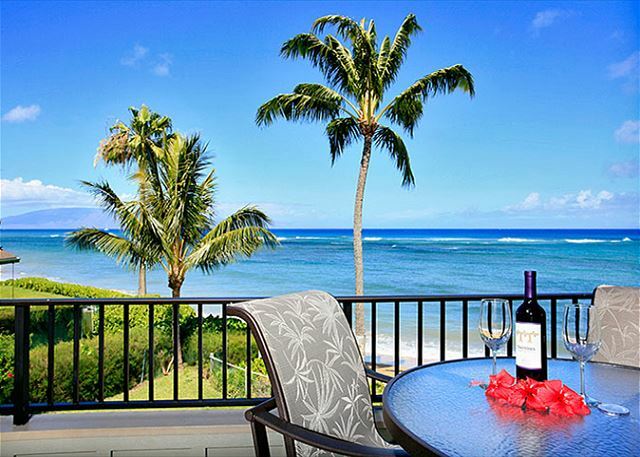 The view is amazing from the lanai. We saw surfers each morning and beautiful sunsets each night. 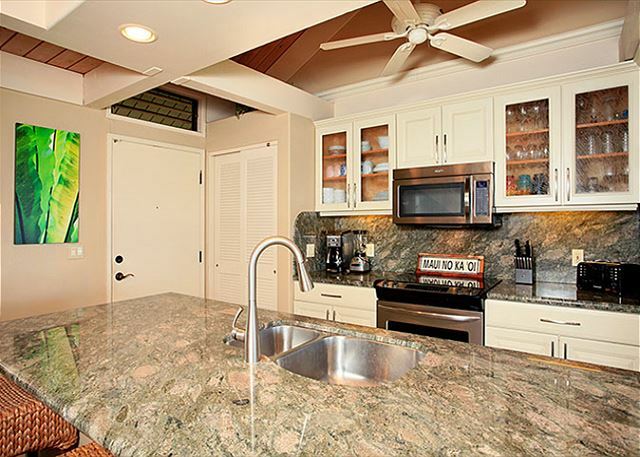 The condo was spacious and updated, and perfect for a family of 5. The sandy beach is gorgeous and not crowded. We saw 2 turtles resting on the beach and the other tenants/guests were very friendly. The location was ideal, close enough to take day trips, but remote enough for privacy and tranquility. We highly recommend this rental and hope to come back again sometime. Thank you! Luxury accommodations, everything was exceptional! The view is outstanding. My second visit to Kahana Village, and will not be my last. 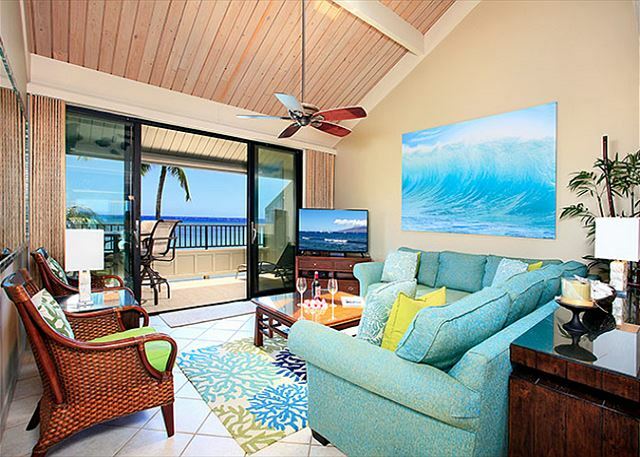 Kahana Village is one of the best condo complexes we've stayed at. From the first day I booked the condo the staff were very quick to respond to any questions I had and very accommodating with our requests. The condo itself was perfect. There was pleanty of room for our family of 4 (with two teenagers). The kitchen was large with all the amenities you'd need. The living room had enough room that we could all sit together with a lot of extra space. 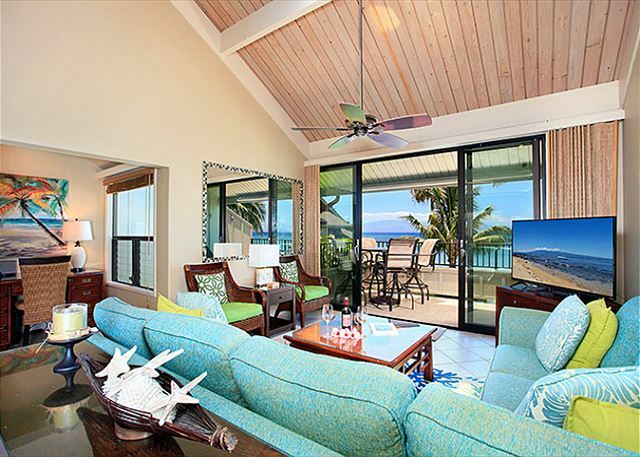 The lanai was big and had great furniture, which I used every morning to watch the sun come up. The entire condo was very clean and well maintained. The pool, hot tub and bbq area was fantastic. We went to the pool almost every day to relax and take a swim. We will definitely be staying here again! Thank you Kahana Village for making this the perfect family vacation. This was our second stay at Kahana Village. Unit #4 was perfect. Great view from the balcony. Unit was nicely decorated and had everything needed; plenty of dishes and pans. We made use of the body boards, chairs and the coolers. The added air conditioning units are a great addition. Loved the hot tub and Wednesday night Mai Tais by the pool. Andrew is great and not a "nobody" like he tells everyone. 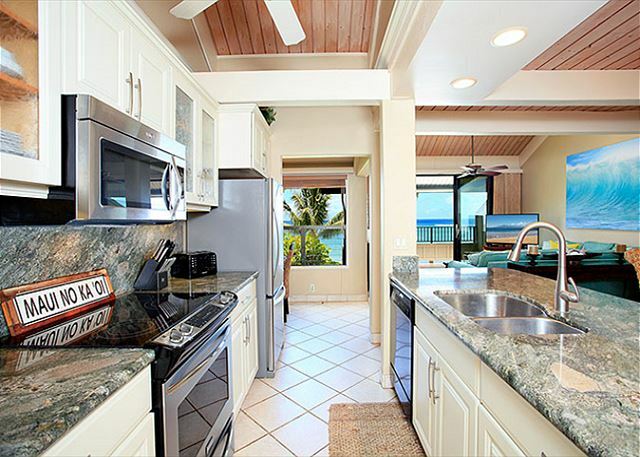 Kahana Village is close to great beaches and Lahaina. 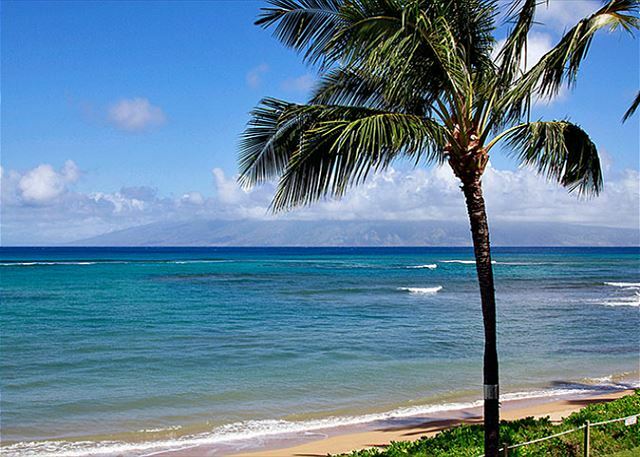 We can't wait to get back to Maui. We had a delightful stay. We have been coming to the Islands for 40 years. this is probably the nicest place we have stayed in all that time. The condo was clean, comfortable, roomy and well- stocked. The grounds were beautiful and well-maintained. Parking was easy. I cannot think of anything that could have made the stay more enjoyable. I would definitely stay here again. 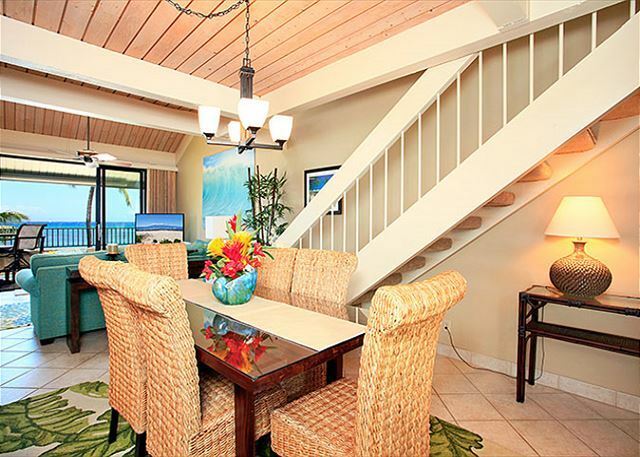 Spacious and modern air-conditioned apartment suitable for a couple or family. The resort pool was great and proximity to the beach fantastic! I would highly recommend this property! Unit four had everything we were looking for, and more! It was excellent. Private Beach, well maintained grounds and units. 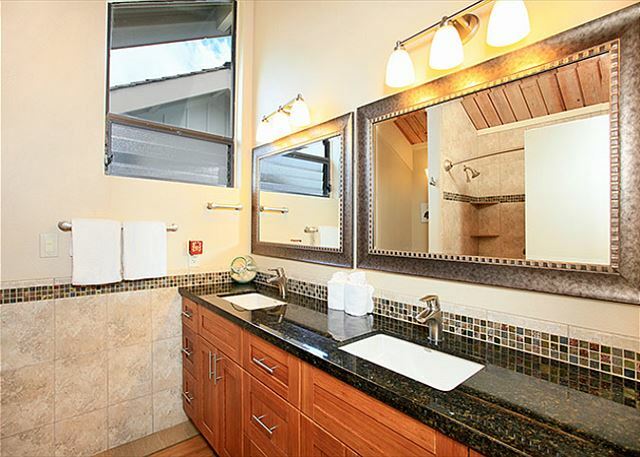 Kahana Village, Unit #4 was absolutely perfect for our family. The unit was very clean, well kept, stocked with everything we could need and you can't beat the location. The view is amazing! The staff is incredibly helpful and friendly. It is a home away from home. Small details that we really appreciated were, providing firm and soft pillows to choose from, nightlights, boogie boards, beach chairs, a cooler, well stocked kitchen, great blender for smoothies, ice maker downstairs. 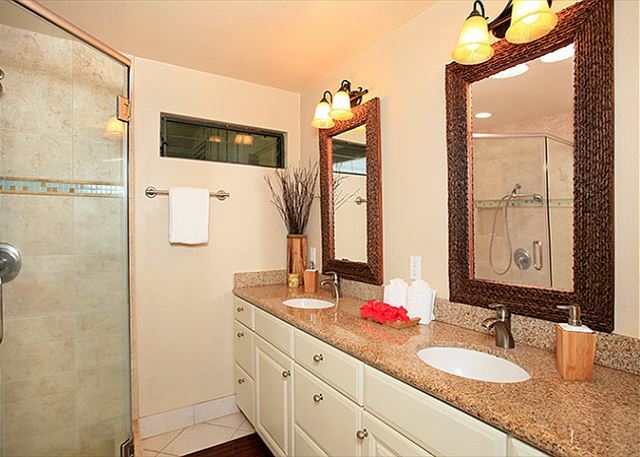 We loved this updated unit and will be back for sure! I have had a great experience before, but this stay in unit # 4 was the greatest, beautiful unit clean and modern the view was to die for. My niece and Daughter came with me this time and thay are telling everyone they know how gorgeous our visit was. 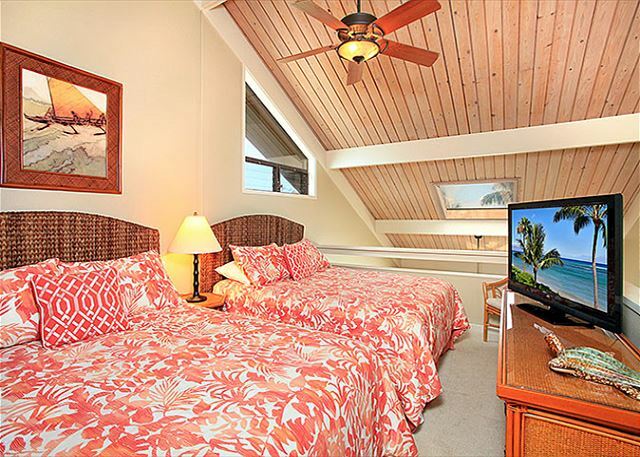 I do a will continue to recommend Kahana village. 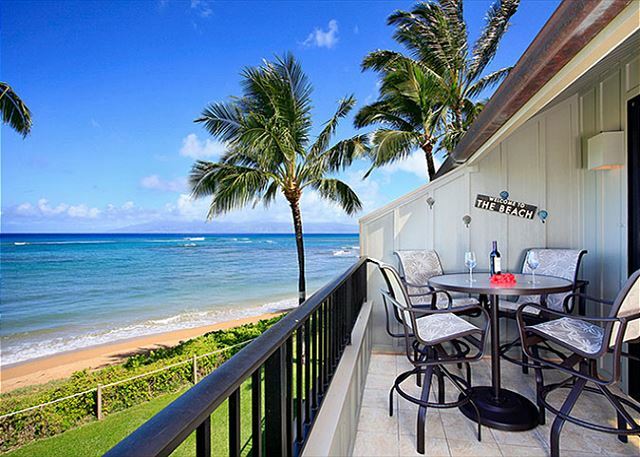 Kahana Village is a beautiful property situated right on a quiet beach. 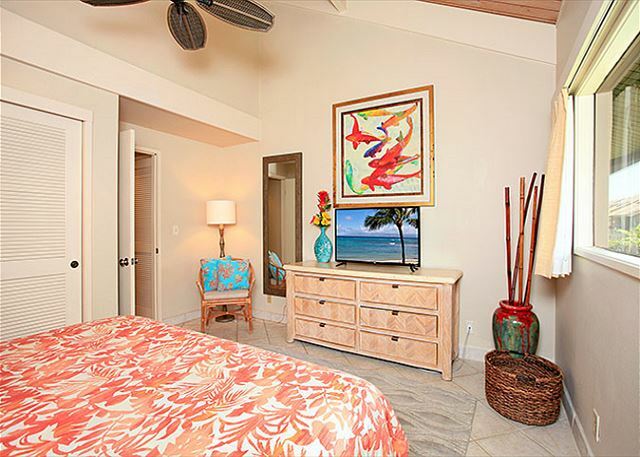 Unit 4 is lovely and comfortable, located just a few feet away from the shore, with views of Molokai and Lanai. Always a great stay here. We absolutely love this much so we booked for next winter already! The staff is unbelievable and cannot beat the location if you like the laid back feel. Shopping close by, snorkel out front and a quick walk/drive to other locations including DT Fleming. We have been returning for many years. The place is bright and updated. The view is amazing, The units are well stocked and alway clean. The staff has always been great with recommendations and very helpful. We've met some great people while BBQ and the Wednesday myti party is always fun. 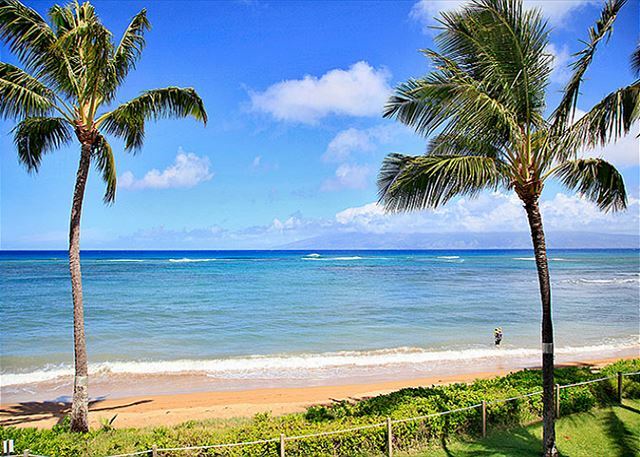 Kahana Village sits in a quiet neighborhood between busier Kaanapali & very upscale Kapalua. The units are very well maintained, beautifully decorated, fully equipped. The view from unit 4 is just as shown in pics. We saw whales from our unit and a turtle (or two) visited the shoreline nearly every day. If you don't like the towers and noise; Highly recommend.